Education has always remained one of top priorities of the Congress Government. Consequently, the State has achieved remarkable progress in the field of education and it is fast emerging as Education Hub in the country. The literacy percentage of the State has reached 83.78% as per 2011 census. The enrolment levels of the state are one of the highest in the country. The Government has given prime importance to improving the quality of education by having the right curriculum, trained teachers and provision of their regular in-service training and making them accountable for learning levels of students. Achieving the cent-percent target of education was not possible unless children get school facility nearer to homes. 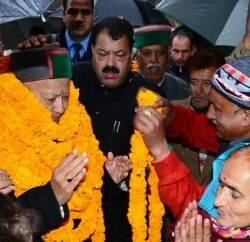 Himachal Pradesh being a hill state with tough topography and harsh weather conditions especially in winters, it was necessary to provide school facility in every area even if there were fewer students. State government has opened Primary schools within a radius of 1.5 or 2 km across the State so that students could get education nearer to their homes. The present government has also taken a decision to reopen all 149 schools which were de-notified by the previous BJP government. A provision of Rs. 3836 crore for education sector for current year which is approximately 18 percent of the total budget. Net books will be given free of cost to 5,000 meritorious students of 10th and 12th class this year under Rajiv Gandhi Digital Student Yojana. To encourage meritorious students in the State, the Government will give cash incentive of Rs. 75,000 to any student of Himachal Pradesh getting admission in prestigious institutions like IITs, IIMs and AIIMs. State Government is also providing free travelling facility to all government school students in HRTC buses. The Government has taken decision of rationalization to fill the vacant posts of teachers in far-flung and hard areas of the State. Emphasis has been given on imparting training to the teachers. The efforts are being made to strengthen the basic infrastructure in the schools and making teaching child centric and activity based. In its drive for quality in secondary and higher education focus has been laid on the improvement of infrastructure. A budget provision of Rs. 63 crore has been made for capital works for secondary and higher education during 2013-14. 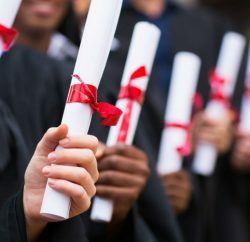 To bring the standard of education in colleges and Himachal Pradesh University at par with National standards, the curriculum and syllabus is being extensively revised and upgraded. The course content is being prepared keeping in view the requirement of the job market and the employability of the students. A decision has been taken to start smart classrooms in 618 Government Senior Secondary Schools and 837 Government High Schools during this year. Besides, vocational education will be started in 100 new senior secondary schools with four courses i.e. Automobile, Retail, Security & Information Technology. Understanding the need to upgrade the skills of the youth for enhancing their employability in the industry and for self employment, technical education is being expanded in the state. At present polytechnics are running in 7 districts in government sector and 5 new Polytechnics in the remaining districts of Bilaspur, Kullu, Sirmour, Kinnaur and Lahaul & Spiti will be made operational during this year. Decision has also been taken to open new ITIs in all the Vidhan Sabha constituencies without a government ITI. 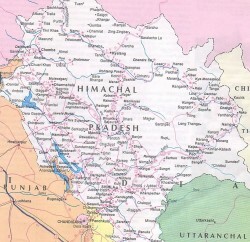 The State Government has identified land for setting up a Hydro Engineering college at Bandla in District Bilaspur in collaboration with NTPC and NHPC. IIIT in PPP mode in District Una will be established for which approval of Government of India has recently been received. A new Engineering college will be set up in District Kangra under Rashtriya Uchhttar Shiksha Abhiyan of Government of India.